Classic Lightweight Ladies Shoe. Sizes 3-8 Inc Half Sizes. 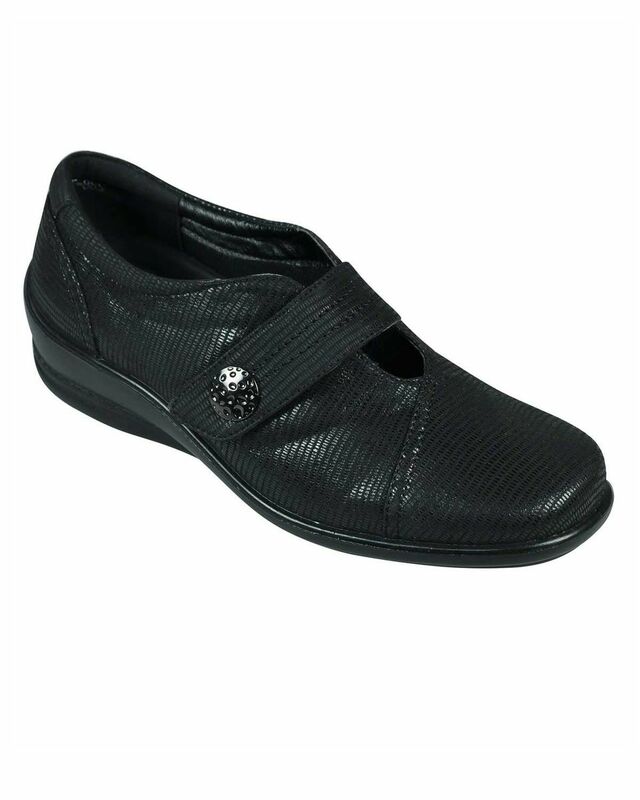 Ladies Casual Shoe, lightweight microfibre upper with Velcro fastening for comfort. Man-made sole with removable inner covers sizes E/EE in one shoe. Black, Metallic.